"I have had the pleasure of working with Nate since 1999, a few months before I ventured into my first year racing at the professional level of triathlon. 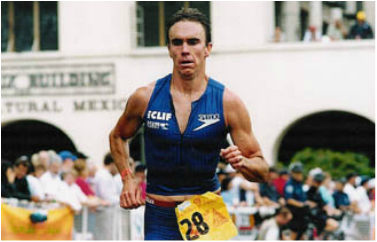 It was inspiring to work with a coach who had been to the top world rankings as a triathlete, and I quickly learned that his skill as a mentor and teacher were similar to his gifts as an athlete and unparalleled to any other coach I knew. I feel lucky to have trained with some of the best athletes in the nation, and while I wasn’t always exactly on their level of natural ability, I was always better prepared and had more focus thanks to Nate’s coaching. Nate took an athlete of modest ability and created someone who could toe the line with some of the best in the sport. In all my years of competing in endurance sports I have never known someone to be so well researched in such a broad arena of athletics and have such a complete understanding of conditioning so many different types of athletes. I think what stands out the most with Nate is his natural ability to understand each individual athlete’s needs on an intuitive level. When I look back on what I consider to be one of the highlights of my life - competing at the elite level of triathlon - I owe so much thanks to Nate and his thoughtful approach to developing me as an athlete. His coaching is the foundation that I have built my life-long love for endurance sports on."